Our mission is to help you raise a confident, focused leader with the life transforming experience that is Martial Arts, while us adults train to get in the best shape of our lives. My name is Zane Spitnale and I am the owner of Spitnale's Superior Martial Arts Academy. When I opened Spitnale's Superior Martial Arts Academy in 2012, I made a commitment to our community in Meraux to create an enjoyable environment for students to improve their fitness, while building confidence they can carry into their everyday lives. It is my privilege and honor to take the the knowledge I have received in my own martial arts training and pass it on to the students at my school. I love inspiring my students to be the best version of themselves that they can be! My goal is to motivate the youth of today, to be the leaders of tomorrow! Our children's martial arts program creates leaders. We do this by teaching the same values you teach at home. Our adult program is second to none. From traditional martial arts to more modern self-defense styles, there is something for everyone at Spitnale's Superior Martial Arts Academy. If you are looking to burn major calories, learn self-defense moves and get in the best shape of your life, you must come and check out our program. Imagine yourself or your child as a stronger, more confident individual in your best physical and mental shape. I want to personally invite you to take advantage of our introductory trial offer and turn that vision into a reality. See you on the mat! 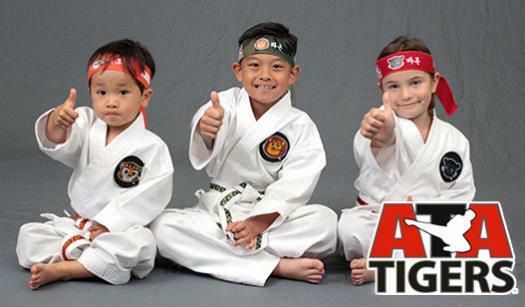 ATA Tigers is an exclusive new platform for martial arts that kids truly love. Cartoon Tiger characters provide a relational point students can identify, each character symbolizing a value that is a foundation of the Martial Arts. Take the first step to giving this extraordinary gift to your child today! Amazing program, amazing instructor and amazing kids.